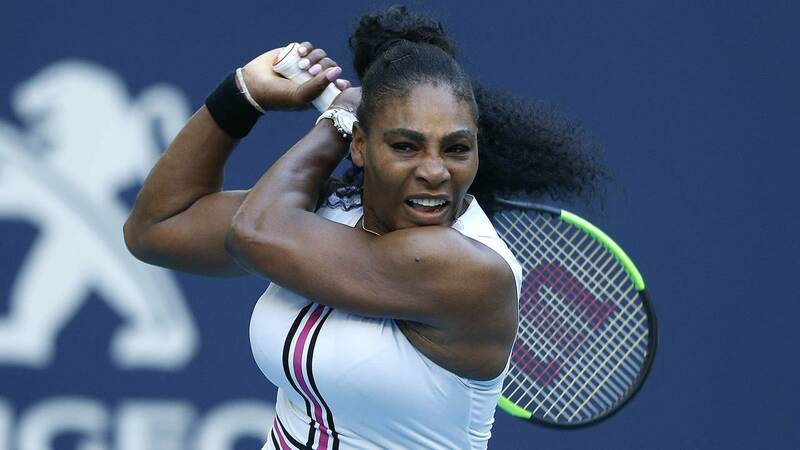 MIAMI GARDENS, Fla. - The Miami Open lost some of its star power on Saturday when eight-time champion Serena Williams withdrew from the event because of a knee injury. The announcement comes one day after Williams defeated Rebecca Peterson in three sets. Williams showed no signs of injury while winning her opening match against Peterson, 6-3, 1-6, 6-1. Williams didn't mention any problems with the knee during a news conference afterward, and the WTA had no information Saturday regarding when she was hurt. The match Friday was Williams' first in Hard Rock Stadium, the Dolphins' home and the tournament's new center court. The Miami Open moved this year from Key Biscayne, where Williams won eight titles. Williams hasn't won a tournament since the 2017 Australian Open, before she took a break of more than a year to become a mom. "I am disappointed to withdraw from the Miami Open due to a left knee injury," Williams said in a statement. "It was an amazing experience to play at the Hard Rock Stadium this year and would like to thank the Miami Open for putting on an amazing event. I hope to be back next year to play at this one-of-a-kind tournament in front of the incredible fans here in Miami."